"Stunning Residential Studio In Tuscany"
In the centre of Lari, an ancient village and secret jewel of Tuscany, you can find a state-of-the-art recording studio used by musicians from all over the world. This is the ideal location to concentrate on the joy of creating music. 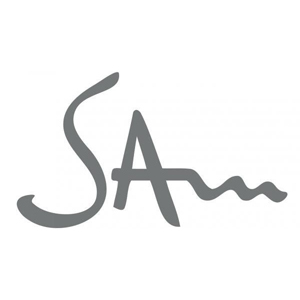 SAM Recording Studio is famous in Italy, with many artists having produced albums here; from Mauro Refosco to Irio de Paula, Stefano Bollani to Anthony Sidney, Ornella Vanoni to Tony Scott and more. We have also welcomed major independent Italian rock bands such as Teatro degli Orrori, One Dimensional Man and Zen Circus, as well as jazz musicians Paolo Fresu, Luca Flores, Enrico Pierannunzi, Danilo Rea, Enrico Rava and Eddie Wied. SAM Studio's control room measures 8m x 5.3m. Here you can find a 48-channel Raindirk Symphony LN1 console, a model that has recorded or mixed live concerts such as the Three Tenors, the Barcelona Olympics, Pavarotti in the Park and "The Wall" concert in Berlin. ELO and The Traveling Wilburys used a Raindirk Symphony LN1 in their studios. The control room is equipped with vintage valve gear as well as modern equipment and clients have the option to use a 2'' MCI J24, 2'' 16-track Soundcraft analog recording system or Pro Tools HDX (32In/56out). SAM has also acquired two fully operational vintage MCI JH 24 tape machines from the 80s, which are synchronised with the DAW. The control room at SAM is brilliantly designed to create a highly accurate acoustic. There is also a 2-seat sofa set away from the main area allowing clients to relax without having to leave the room. Live Room A measures 8.5m x 6m and is 4.5m high. It features a beautiful Steinway grand piano and boasts a distinguished acoustic thanks to the abam hardwood diffusors installed into the walls in 2012. The room also provides some moveable acoustic isolation screens made from stone on one side and insulating material on the other, making it possible to modify the acoustics and/or to separate the musicians. Live Room B (5.4m x 3.7m x h 2.7m) is characterized by a short reverberation time and is separated from Room A by a large window giving a clear line of sight between musicians. This room is also equipped with moveable acoustic isolation screens. Room B can also be turned into a second control room (24 in 8 out), offering the possibility to record and edit while other productions are carried out in the main control room - an indication of SAM Studios' versatility. Both recording rooms are linked to the patch bay in the control room with top-end mogami and belden cables for the cleanest possible signal. The rooms come with a great collection of backline, from handcrafted amps to classic guitars, vintage Ludwig drums to the Steinway grand piano. We have a 1940's accordion and all sorts of percussion and can also provide additional quality backline gear on request. Check the equipment spec for full details on our backline. The machine room is situated above Room B, but thanks to specific wirings it can also be used as an amp booth. In addition to this isolation area, the stairwell of the studio is often used as an excellent echo room and is popular with all the sound engineers and musicians who come here. During your session there will be two technicians always at your disposal. Wi-fi access and an FTP address are available as is a coffee bar and terrace with views of the hills. Throughout the whole of the studio the aesthetics add to the overall quailty and atmosphere. All rooms have olive wood flooring and maple wood walls and ceilings. Everything is immersed in a friendly atmosphere and a peaceful location, in the centre of the village. Beyond the town walls there are only green hills and splendid views. The large recording room overlooks the Medieval walls of the village and the Tuscan hills beyond them, while the control room looks out across to the Castle of Lari and the Apuan Alps. With the region's strong connections to the arts and creative industries, its relaxing culture, good food and exceptional wine, clients at SAM can take a fantastic journey into the soul of Lari, which for centuries has been the capital of the hills of Pisa. This is a truly stunning place to make a record.